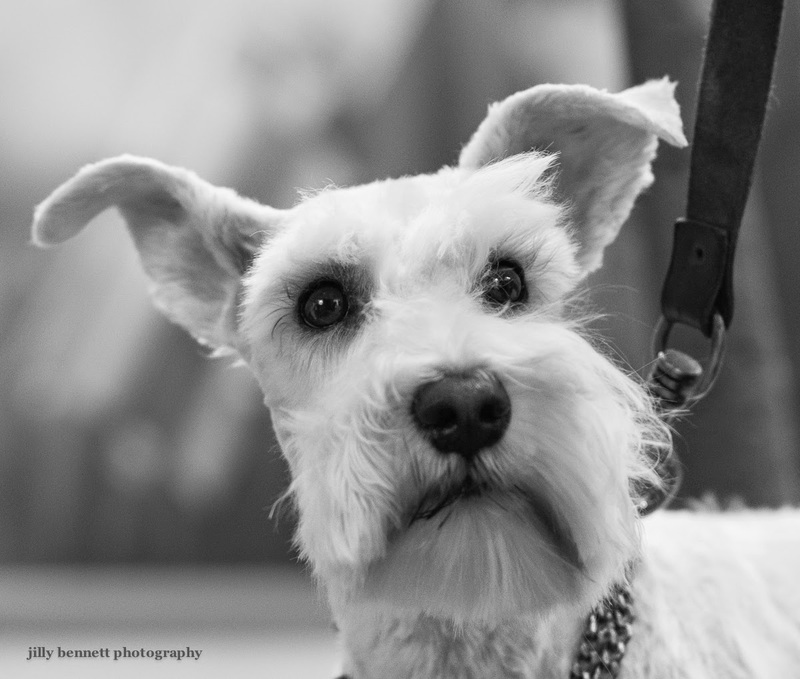 This lovely white Miniature Schnauzer is called Lola and lives in Monaco. She was being groomed in a poodle parlour in Menton.Lola is 4 years old. 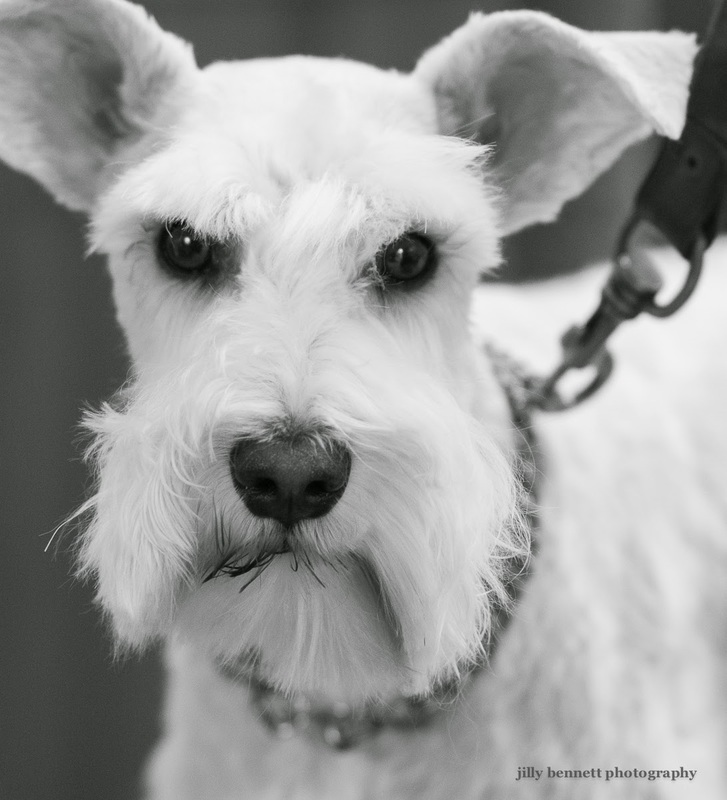 Miniature schnauzers come in four colours - black, salt-and-pepper, black-and-silver, and white. I've never seen a white one before - have you? 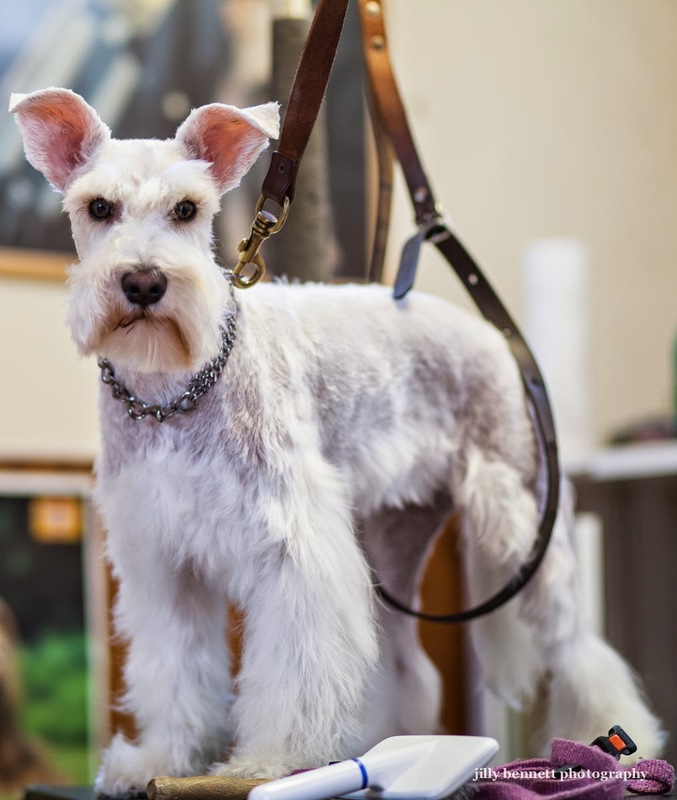 I have a friend who has a successful white miniature schnauzer. You should visit Finland, judging or just spend some holiday. We have especially in international dog shows grand variety of breeds. Pasi, I don't judge anymore and I don't travel either. Really because one of my rescue dogs just can't be left in a kennel. But even when she dies I'm not sure I'll travel more other than locally, into Italy for example for my photography. I did judge one time in Helsinki and know you have beautiful dogs in Finland. What Ever Lola Wants Lola gets! She is a beauty. I have never seen a white one either!